Karen Odell-Barber has over 21 years of experience as an adolescent and young adult therapist. She is an Arizona Regent Scholar and studied at the London School of Economics after she completed her undergraduate degree. She completed her master’s degree in counseling at San Francisco State University, with post graduate training in addiction treatment from UC Berkeley. Karen was Milieu Manager, Director of Business Development, and Chief Operating Officer for Belmont Hills Hospital, an 80-bed Neuropsychiatric Center. She has hands-on management experience within the areas of clinical service, utilization management and review, operations and maintenance and outpatient services. She has served as Clinical Consultant to numerous organizations, including Lifetime Television. She is an experienced public speaker and has presented at various behavioral health and neuroscience conferences throughout the U.S. Karen, a Who’s Who in American Businesswomen, was a volunteer lobbyist for the American Medical Association and separately, in 2004 was the author of legislation impacting U.S. healthcare delivery, which passed with 78 percent bipartisan voter approval. She served as Adjunct Professor of Medical Economics for Touro University creating the first ever Medical Economics Curriculum. She is a volunteer for multiple charities related to children and underprivileged youth and serves as a board member for Prayer for Compassion, tasked with international fundraising for over 19,000 orphans. 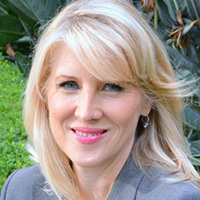 A member of the California Association of Marriage and Family Therapists, she is the CEO of Treatment Consultants, LLC, a behavioral healthcare concierge case management company specializing in clinical consultation, triage and case management of addiction, eating disorders and co-occurring disorders. She is also the Founder and Chairman of Neurologics, an innovative company that applies proprietary software technology to remediate and improve brain function for traumatic brain injuries (TBIs) like concussions. AMSymposium.com © 2018 All rights reserved.